What are Utility & Security Tokens? Utility tokens, often called app coins or user tokens, provide users with future access to a product or service. Through utility token ICOs, startups can raise capital to fund the development of their blockchain projects, and users can purchase future access to that service, sometimes at a discount off the finished product sticker price. By creating utility tokens, a startup can sell “digital coupons” for the service it’s developing, as retailers accept pre-orders for a good that may only be available weeks or months later. Security tokens and utility tokens represent the two main categories of ICO tokens. 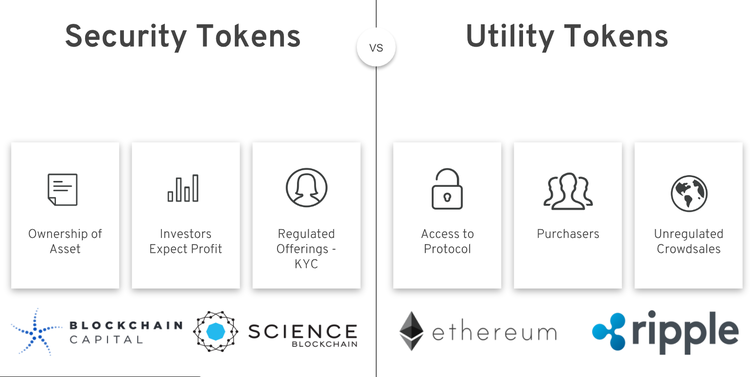 The major difference between security tokens and utility tokens is in the intended use and the functionality of the two. Unlike security tokens, which represent fixed assets of some kind such as house or a shares in a company, a utility token is a more liquid medium of exchange that gives one access to the value created by a blockchain network. While the distinguishing characteristic of utility tokens is that they are not designed as investments, security tokens are created as investments. Security token holders are given dividends in the form of additional coins every time the company issuing the tokens earns a profit in the market. Utility tokens may grow in price, if the demand for service or product increases. Therefore, buying such tokens of a project, that solves real problems of users and the product of which is constantly being developed and improved, may yield a great profit in future. Does the token offer its holders an opportunity to contribute to the startup’s capital and to have a share in its profits? Does the fundraising procedure of the ICOs involve investment in a project whose profits are solely generated from the efforts of individuals other than the creators or founders of the project? If the answer to either question is “yes”, then the token can be clearly categorized as a security token and is subject of regulations of the domestic SEC, as well as other forms of federal laws regulating securities. An example of a utility token is the Basic Attention Token (BAT). BAT is a utility token based on ethereum technology that can also be used as a unit of account between advertisers, publishers, and users in a new, blockchain-based digital advertising and services platform. BAT can be utilized to directly measure, exchange, and verify attention. Bitcoin would not enable this distinct, in-platform problem solving. 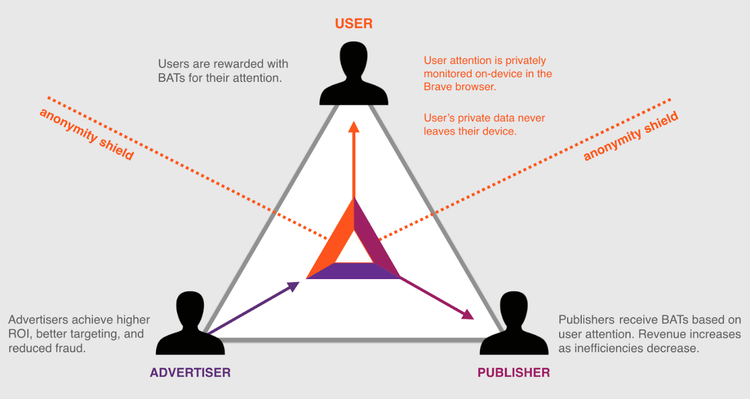 Just a reminder: BAT system is a pay to surf software product used for the digital advertising industry that links publishers, advertisers, and users of the Brave browser. Another example is Filecoin, which raised an ICO-record $257 million. The ICO was executed in early August 2017 and raised money from 2,100+ investors. Filecoin is a decentralized storage network that turns cloud storage into an algorithmic market. Miners earn the native protocol token by providing data storage and/or retrieval. Conversely, clients pay miners to store or distribute data and for retrieving it. Centralized applications like Evernote and Dropbox have their own vulnerabilities that have come out over the past few years, and Filecoin seeks to create a solution that transcends these issues. As a decentralized protocol, the data stored in the network and access to it cannot be controlled or exploited by a central entity, which improves robustness. By using strong end-to-end encryption, Filecoin makes it impossible for user’s data to ever be read while its on another user’s computer. Golem is another example. The unique blockchain-based video rendering technology is capable of radically changing the way of processing movies, video games and graphics. Golem is an ethereum-based, global, open source, and decentralized protocol which unifies idle computer power to enable massive computing speeds for relatively low costs. It offers numerous applications for video rendering, data processing, and more, which will enable institutions and content creators to process files in a fraction of the time it would normally take. Users earn GNT for connecting to the network, but they can also buy them via an exchange. Javvy, veterans of blockchain development and creators of the Javvy Universal Wallet, has announced it is launching a utility token pre-sale on November 1, 2018, available to everyone in the world, except where prohibited by law. The Javvy token (JVY) will allow buyers to pay for network fees, at a 50% discount, and have the option to stake Javvy tokens to provide liquidity in the Javvy decentralized exchange and earn additional tokens. The early-bird token pre-sale offers a 25% bonus through November 30, 2018, with the official public launch set for December 1, 2018.